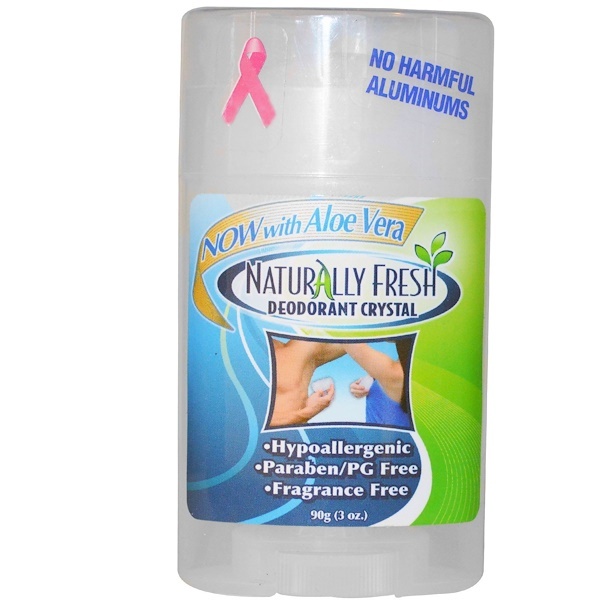 This is the worlds first patented deodorant crystal widestick. Our innovative product has the same shape as conventional widestick deodorants yet contains our patented molded crystal. Now with soothing and moisturizing Aloe Vera. The ONLY crystal widestick with Aloe Vera. Highly recommended by doctors--oncologists, dermatologists, and allergists. Fragrance free, non-sticky, non-greasy and lasts up to one year. After bathing, simply moisten the stick with water and apply to under- arms and or bottom of the feet. Provides doctor recommended 24 hour, non-staining, protection for men and women. Caution: May leave stain on countertop. Dry off stick and countertop after use. If rash occurs, discontinue use. Do not apply to broken skin.